We’ve been doing niche marketing for years. 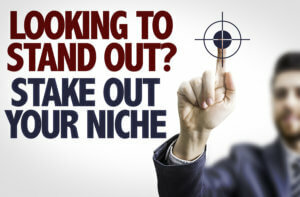 Niche marketing is the process of identifying more unique ways to differentiate yourself online. Take this for example: Instead of focusing on “Contractor Insurance” as an entire industry, pull it apart into different categories of contractors. By creating content around each unique risk that are within a category, you suddenly highly target your audience. This can improve conversion, increase leads an improve your rankings in the search engines in an otherwise very crowded space. Niche marketing is a part of most of our programs and is available on any level of marketing.